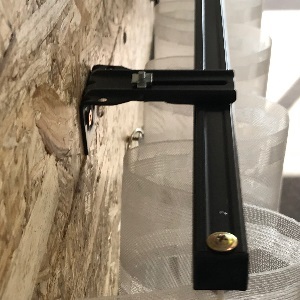 Looking to purchase a custom made, stand-alone curtain track? You've come to the right place. 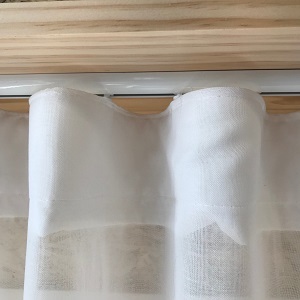 Your curtain tracks will be on the road to you in 5 working days. Simply click the Buy now button to place your order online. *Please note : The S-fold tape is made to 100% fullness. This means the tape will be 2 x the width of the track to ensure a perfect S-fold result. Options will include both an Automate Li-ion Arc rechargeable battery motor & an Automate 240V motor. Both types of Motors will work with the Automate Pulse Wifi Hub for seamless Smart Home Automation throughout your home. This is the same Hub that is used for our Roller Blinds. 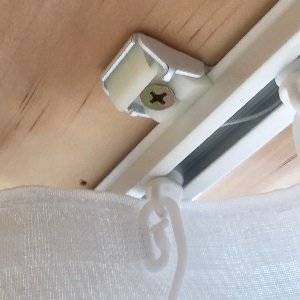 Adjustable up to 50 mm clearance from the wall to the back of the curtain. 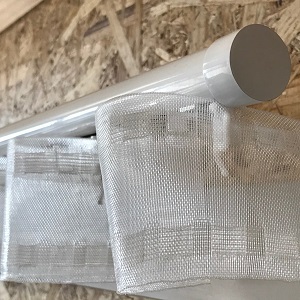 Standard brackets will enable you to come over the top of an architrave and ensure your curtains will hang without obstruction. 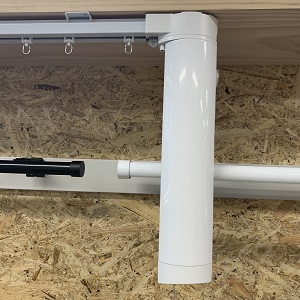 Adjustable up to 90 mm clearance from the wall to the back of the curtain, extension brackets will enable you to come over the top of a roller blind or plantation Shutter ensuring full clearance for a beautifully hung curtain. On average, it takes approximately 5 business days to manufacture your custom made curtain tracks. Your order is processed the next business day and then allocated into our production schedule. 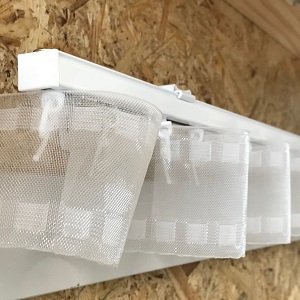 Once your Curtain tracks have been manufactured, they will be prepared for dispatch. At this time, we will send you an email advising you of your delivery details. Our standard flat shipping rate is $33 (inc GST) per order. If your freight charges exceed this amount due to sizes, quantities ordered or a regional area outside our delivery zones, extra shipping charges may apply. In these circumstances, we will call you prior to processing your order. 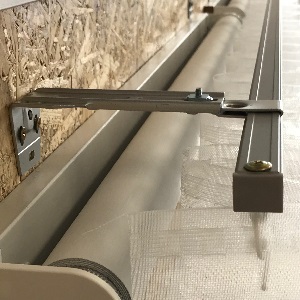 Freight for window coverings is known as 'Ugly' freight - Our products can't be packed into small square boxes to move automatically down a conveyor belt. Our freight, therefore, requires manual handling and as a result, long length surcharges are applied by the freight companies as per the below. 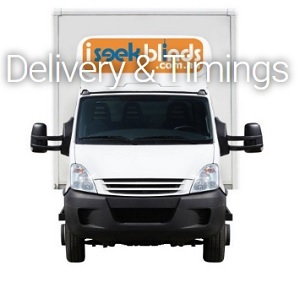 Please note iseekblinds is not in the freight business, meaning we don't profit from freight. All additional surcharges from the Couriers are passed on at cost. iseekblinds will pack the product securely and efficiently as possible and can include up to 2 tracks in a single box. After receiving your blinds, we ask that you inspect and report any damage within five days of delivery. Please do not attempt to install blinds that have been damaged in delivery, as this will void any warranty claim. The cost of delivery insurance (2.5% of your purchase price of products only) is automatically added to your shipping costs at the time of checkout. This covers you against any loss or damage during transit. 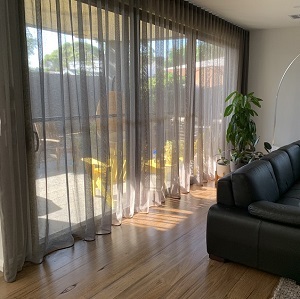 If you choose not to take out the delivery insurance, any damage or loss of your Blinds will not be covered and iseekblinds accepts no responsibility or claims.